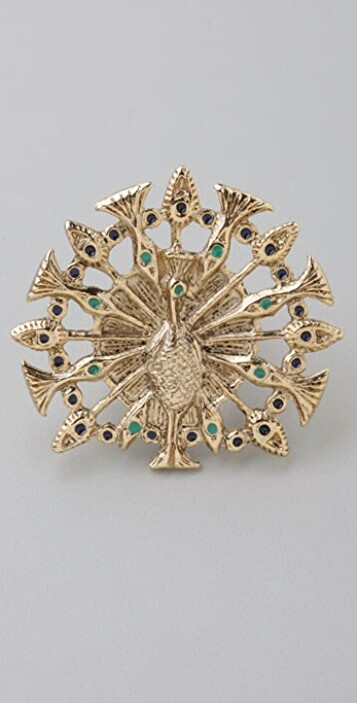 Vintage-inspired magic, this 14k gold-plated ring features two-tone enamel inlay at the antiqued peacock detail. 2" wide. So far so good. I only wore it once. 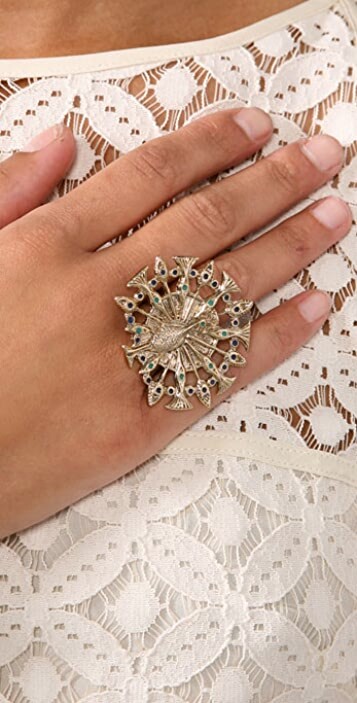 This ring is really fun and is a great statement piece easy for everyday wear. It did tarnish faster than other jewelry I own, but mostly on the back side. Love this ring and I get so many compliments every time I wear it! 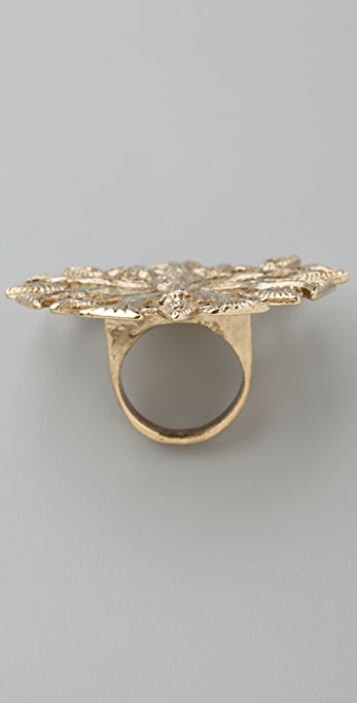 I saw this ring in a spread that featured "celebrity designers" in US Weekly. I usually have a distaste for celebrity-designed fashion, but I have caved on occasion. This ring is no exception, and the face Nicole rocked it in the mag created a lemming inside me. But it's a fabulous ring!! I have a thing for peacocks, so it was perfect. The color specks are enamel, there are no stones encrusted. Everytime I wear it people compliment it. Beware! The pointy ends of the "feathers" snag. 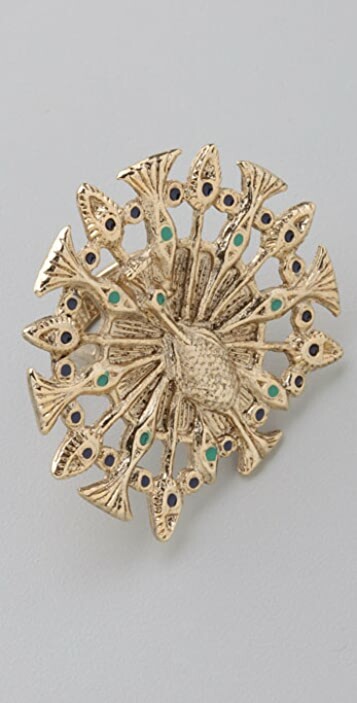 I wore this with the TwentyEightTwelve Dern eyelet romper and it got caught several times. I made the mistake of wearing this fun ring to work. Bad idea. I had to take it off during a meeting because it was so large I couldn't write! Other than that minor detail, though, I love this ring. It has just enough color to keep it fresh and looks great with other bohemian pieces.